Do you have several favorite screensaver programs? With AllSaver! you no longer need to switch screensavers manually! Use AllSaver! to create a slideshow display of multiple screensavers. 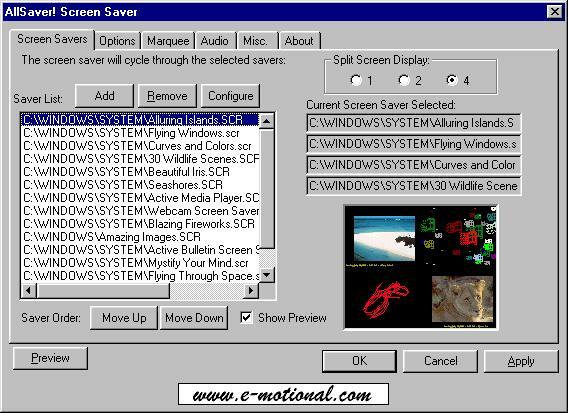 Cycle through a list of screensavers installed on your computer. or display up to 4 screensaver windows at once! play background music, monitor 'GetRight' status, and more! Manage the list of screensavers* installed on your system. 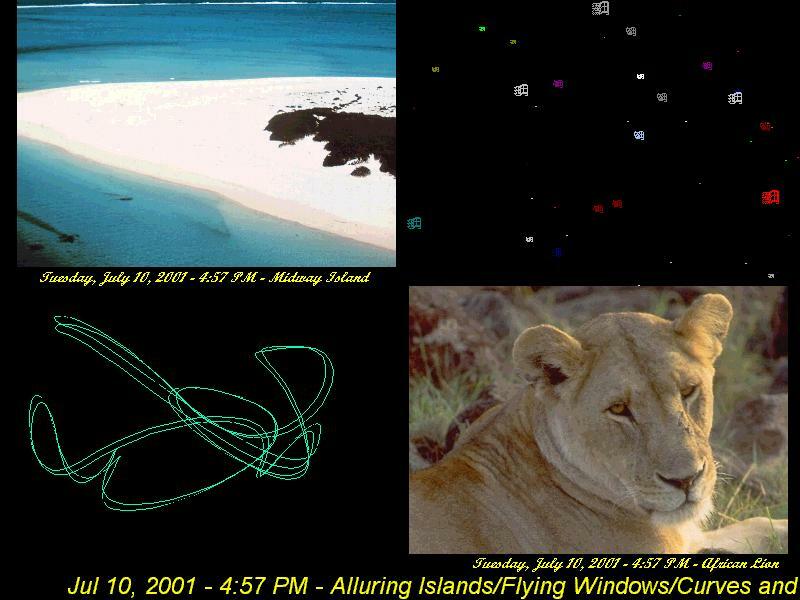 - Automatically cycle through an unlimited number of screensavers. - Create a playlist of screensavers to be displayed. - Select the duration time for displaying each screensaver. - Have direct access to each of the screensaver configuration menus via AllSaver! with up to 4 screensavers simultaneously! GetRight-compatible! If you use GetRight to download files from the Internet, the AllSaver! Screen Saver will show you which files are downloading and the percentage completed. You don't have to disable your screen saver to keep track of your downloads! - Press "F9": to display the next screensaver in the list. - Select how to position your screensaver windows: centered, at random positions, or have the image float about the screen. - Control the length of time that each screensaver is shown. - Configure the size of the screensaver window. Quick-Launch Icon. Click on the AllSaver! Screen Saver icon in your Windows tool tray to run the screen saver immediately, or for quick access to the configuration options! Optimized for speed and smooth operation, the AllSaver! 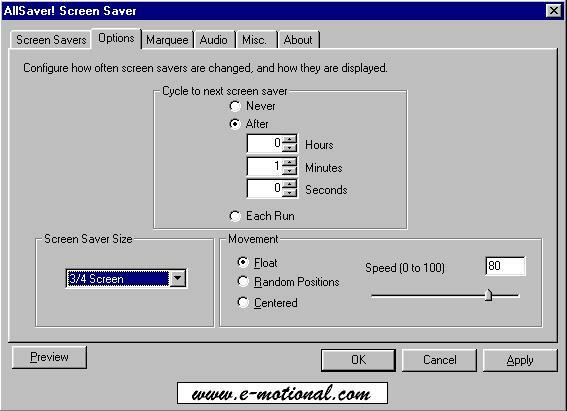 Screen Saver is compact, and requires no additional DLL's or modules. for displaying a "preview" window. **NOTE: you must have Windows Media Player installed to listen to MP3 music.